Spending Christmas in Belfast was an unexpected pleasure that I didn’t anticipate. We had an absolute magical Christmas walking around the brilliantly decorated Belfast streets. Belfast is one of the hottest cities to visit these days. It has left the troubles far behind and has one of the hippest vibes on the planet. National Geographic Travel Magazine has declared that Belfast is an absolute “must see” destination, and as a house sitter, I couldn’t agree more. 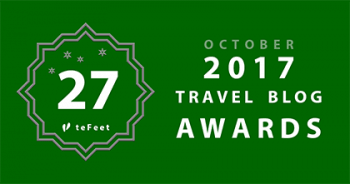 From super friendly locals, to top notch dining destinations, scenery that will knock your socks off and thousands of years of history you couldn’t find a better place to settle for a while and spend time exploring. If you are lucky enough to be here at Christmas time here are some of the Belfast must do’s for Christmas. The lights go on in Belfast in a gala celebration at the end of November usually around the third weekend. The streets are shut down all around City Hall and the event includes live music, celebrities and a grand throwing of the switch to light up the town as soon as dark begins to settle in. It wouldn’t be Xmas in any UK city without pantomime. From Rapunzel to Peter Pan and Aladdin this city is all out for the families and this traditional British entertainment. This years (2028) pantos include Jack & the Beanstalk and Beauty and the Beast. So many cool Santa’s are in town starting the last week in November. The Santa Claus Parade takes place at 12 noon on the same day the lights go on. 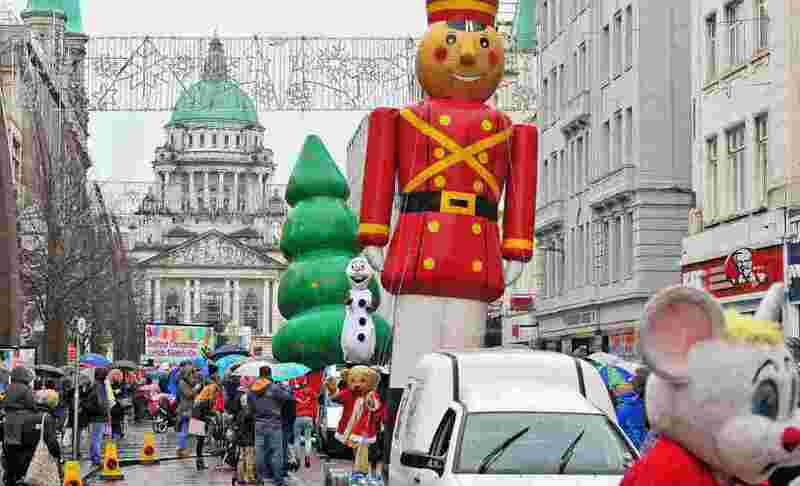 The parade begins at City Hall and winds it way down through the main streets of Belfast to Castlecourt, which is one of Ireland’s largest shopping centres. You can visit Santa in the grotto and get all your shopping done. Ireland is no slouch in the Christmas Market stakes. From the glorious St. George’s market with its Twilight Market early in the month or its extended hours that run up to the big day, Belfast is a haven for great markets at Christmas time. 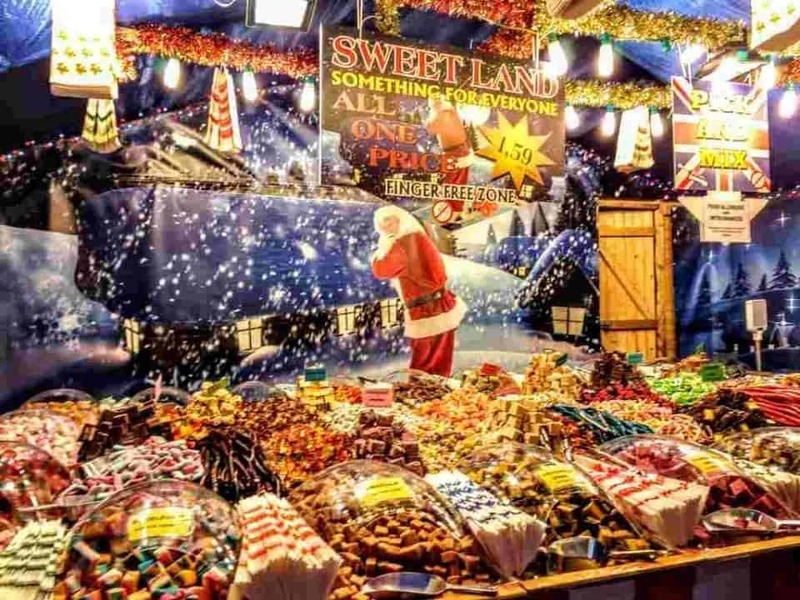 The Belfast Christmas Market is returning to the grounds of Belfast City Hall and will offer crafts, artwork, superb street food, and rides for the kids on heritage fairground attractions like a beautiful old carousel. There will be lots to see, do, drink and eat. You can also check out the Inns Market where you will find all manner of locally made treats and produce to grace your Christmas table. 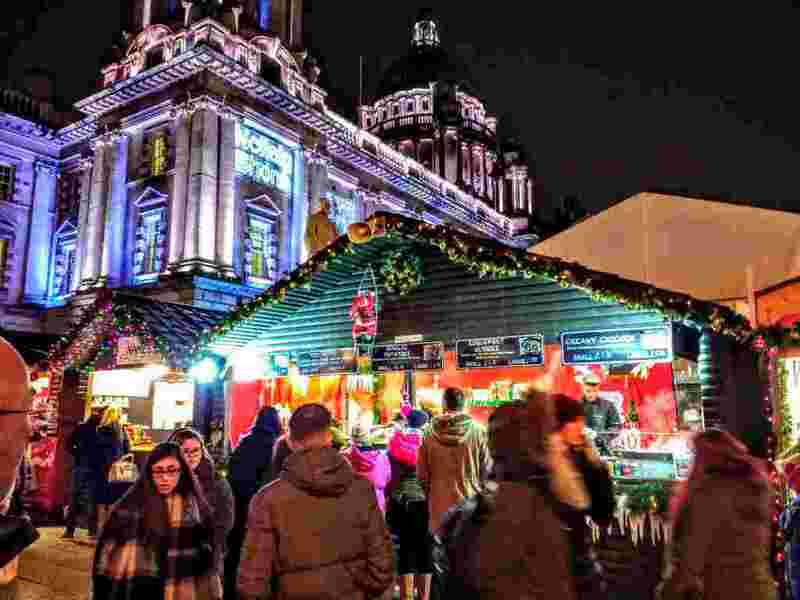 There’s plenty to do all around Belfast with Christmas Markets in some heritage locations including Castle Ward’s (yes it’s a Game of Thrones location) Crafted Show. This is a winter fair and market chock full of locally made arts and crafts, including locally produced gourmet foods, and it’s presented in the superb surroundings of the 18th Century House and Stable yard at Castle Ward. The Argory is an Irish gentry home that sits in a beautiful wooded estate. It is open year round but at Christmas dresses itself spectacularly for the holidays. The home is festooned with traditional wreathes and trees and you can take a cosy horse and buggy ride around the estate after you finish your shopping. Are you a Game of Thrones super fan? Then you should check out this article it’s the Ultimate Itinerary for all GOT fans over 30 places to visit where the show was filmed. 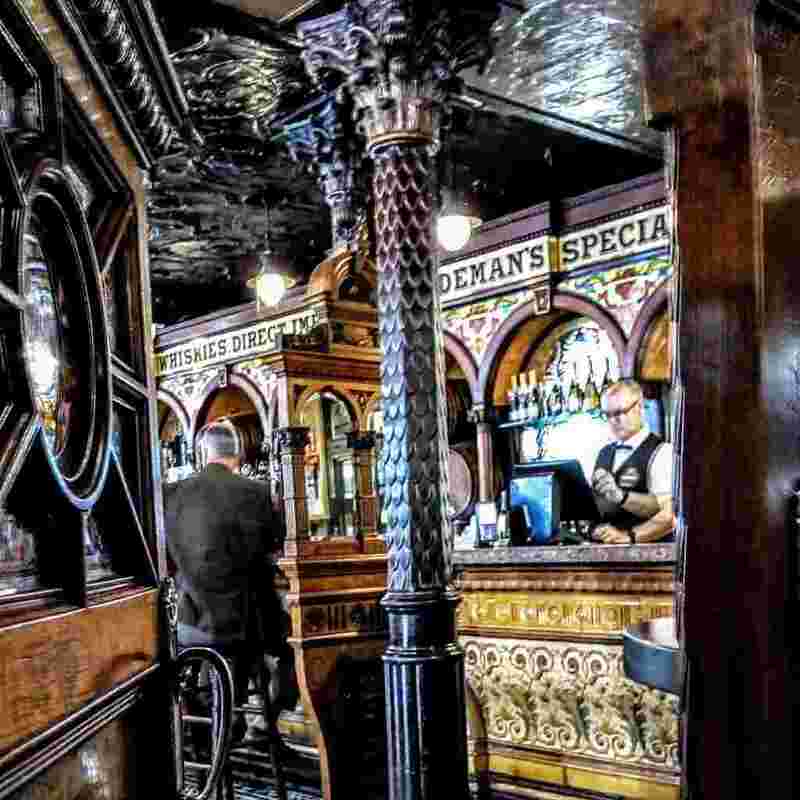 Belfast has some legendary “craic” (good times) with a huge variety of pubs, clubs, theatres, music halls and live music to sample the best of Belfast. It wouldn’t be Christmas without a Horrible Xmas Jumper Pub Crawl. Sign up on FB and follow the simple rules and you’re off. 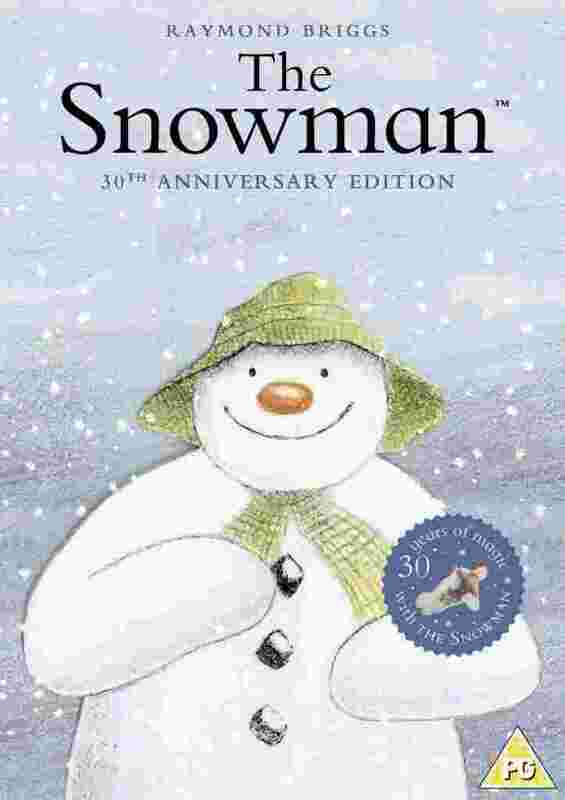 It just wouldn’t be Christmas without watching the Snowman and listening to the glorious music. At the waterfront, you can watch the movie on the big screen scored by the Ulster Orchestra and a young singer performing “Walking on Air” this has become a Christmas tradition for many families. You can’t visit Belfast and not visit the waterfront and behold the Titanic Experience. With its interactive special effects, rides, full-scale reconstructions you can uncover the true legend of the ship the world didn’t think could sink. The Titanic experience includes a magic step into the Old Curiosity Shop to enter the world of Father Christmas. 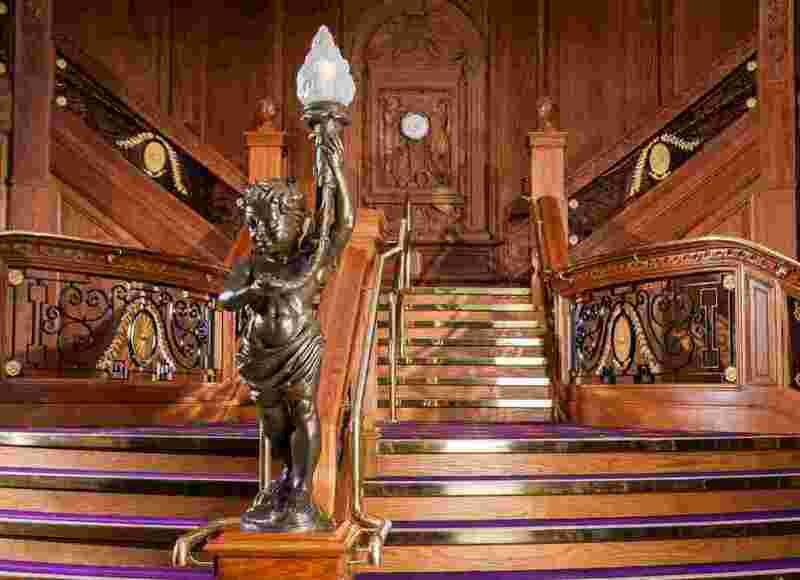 Have your own Titanic Moment and enjoy a luxurious afternoon tea by the beautifully reproduced Titanic Staircase. If you don’t know who the Gruffalo is then you are too old for this Christmas treat. 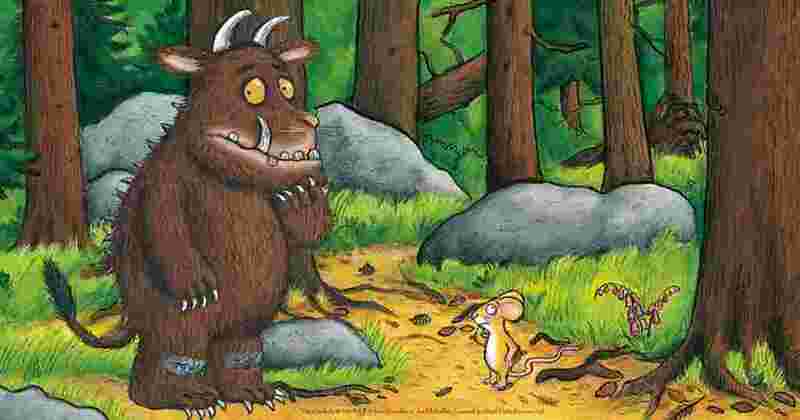 All the kids know the story of the very clever mouse and the 8ft tall Gruffalo. Join them on their Christmas Journey to the grotto to see Santa. A brilliant way to spend the day in a forest park that features life size statues, a rushing river and beautifully created seating areas. If you fancy doing a little skating why not head to the SSE Arena where for £8 you can skate for a couple of hours and feel the chill of icy winter. On the other hand, if you prefer to watch some seriously fast skating check out the Belfast Giants hockey team. Feel like a bit of fancy dress? Then head to the Belfast Waterfront with your secret password to access the Roaring Twenties and immerse yourself in an underground world of forbidden drinks, gangsters and glamorous flapper girls. A fabulous night of sumptuous food and incredible live entertainment, along with party games and a disco plus a DJ playing all your musical favourites. Party dates run from early December to the end of the month. It wouldn’t be Christmas without a festive feast on the day and many fine Belfast Hotels will be hosting guests for sumptuous buffets. 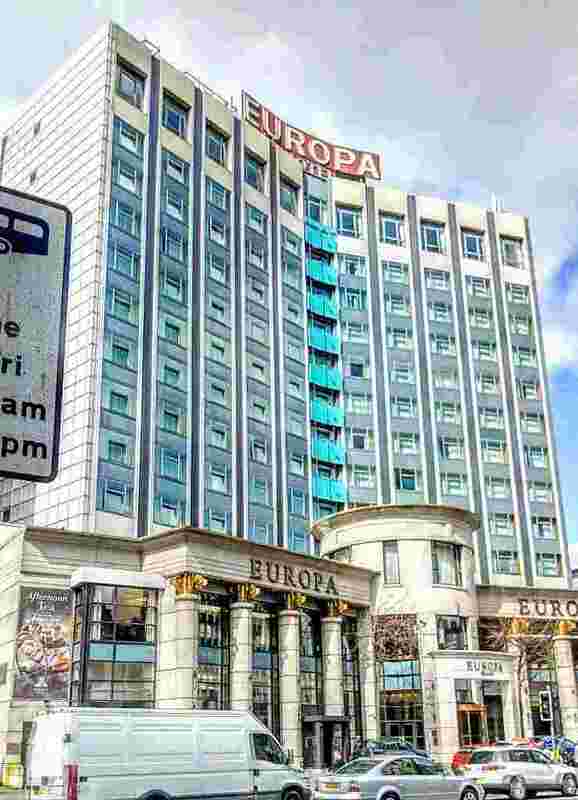 At the Europa which has the distinction of being the most bombed place in Belfast during the troubles, you can eat yourself senseless with a gorgeous buffet for a mere £100 per person. You will find a lot on offer at a wide variety of establishments from hotels such as the Malmaison to Benedicts of Belfast all of these hotels offer superb celebration dining. The Merchant is an absolutely stunning hotel if you can afford the high price tag try the more affordable Afternoon Tea or restaurant for a Xmas splurge. 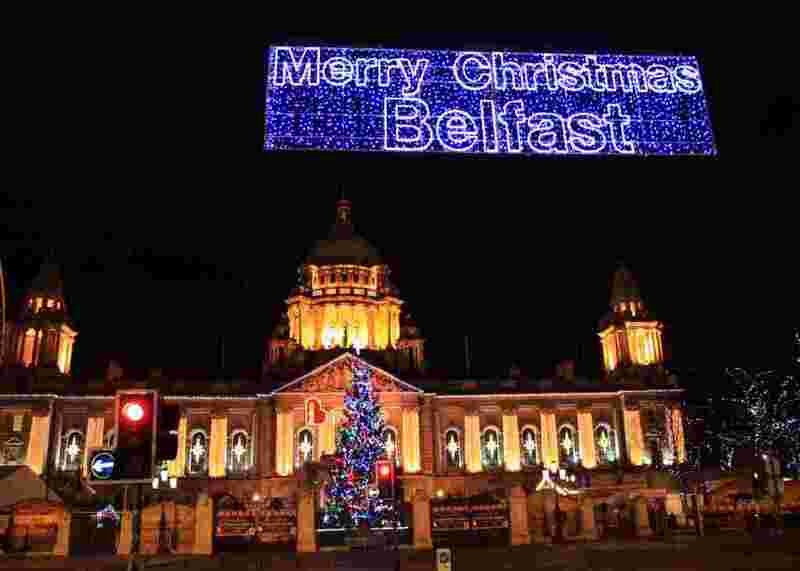 There are dozens of Christmas Parties and events to attend in Belfast at Xmas time. From elaborate dinners and cabaret evenings which give you a chance to dress to the nines. Then there are the pub crawls, the party cabarets, the dance halls tribute acts and more – it’s all here in Belfast. This year in Belfast for the first time is the Masquerade Ball. Full of Venetian splendor, dancers, cabaret, fabulous food the Masquerade Ball won’t disappoint. Belfast has a very good transportation system connecting all parts of the City and into the more “rural” areas it is a city that makes it easy to get around and having a smaller footprint means that taxis are much cheaper than in the bigger cities in N. America. 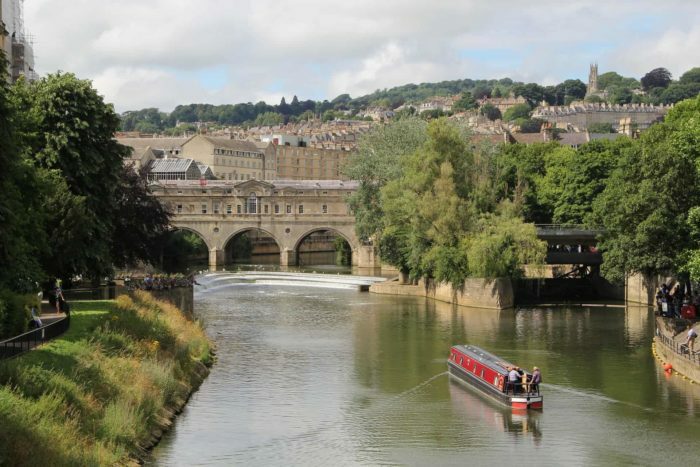 There are all kinds of bus trips, tours and guided walks to help you see the best of the City, but I would recommend renting a car or taking bus tours to see the country itself. From the Game of Thrones to Causeway Coast Tours you will find lots of ways to get out of the city and see for yourself why Ireland is considered the most beautiful country in the world. 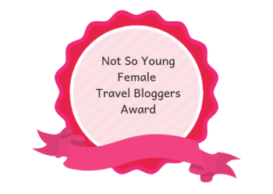 Did you know about Women’s Little Christmas in Ireland? .What do you plan to do with your Xmas?